Craig Sappington has always loved horses. As a child he showed them competitively and won his fair share of ribbons. So it made sense that after graduating from Purdue University in 2005, he launched his own horse shipping business – C & E Transportation Inc. Despite the recession that hit everything from jewelry sales to high-end hotels, Sappington’s business thrived last year. 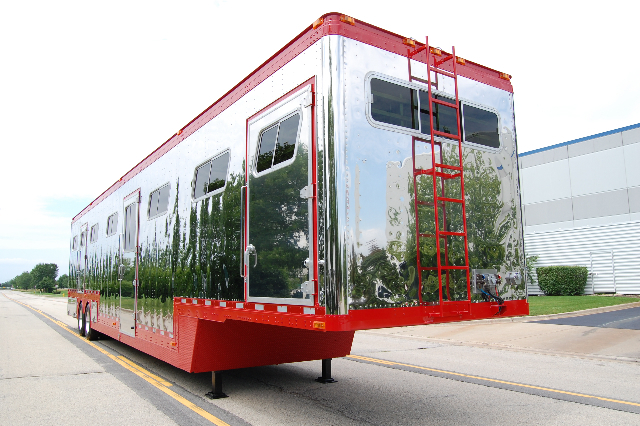 The Carpentersville-based firm transported 5,000 horses and racked up a strong revenue. Sappington, owner and president of C & E, attributes that success to his close relationship with clients and his top-of-the-line equipment. He even has a sophisticated Facebook page that allows customers to stay in touch with him, provide feedback and make shipping requests. “For us, it’s more one-on-one with the customer, so we get direct feedback as opposed to bigger companies,” he said. Debbie Monsees Kirsch, who owns and boards warmbloods at Long Grove Farm in Kildeer, outside Chicago, has used C & E twice, most recently in March for a hunter/jumper show in St. Louis. On her way back to Illinois, Kirsch ended up following the C & E truck. 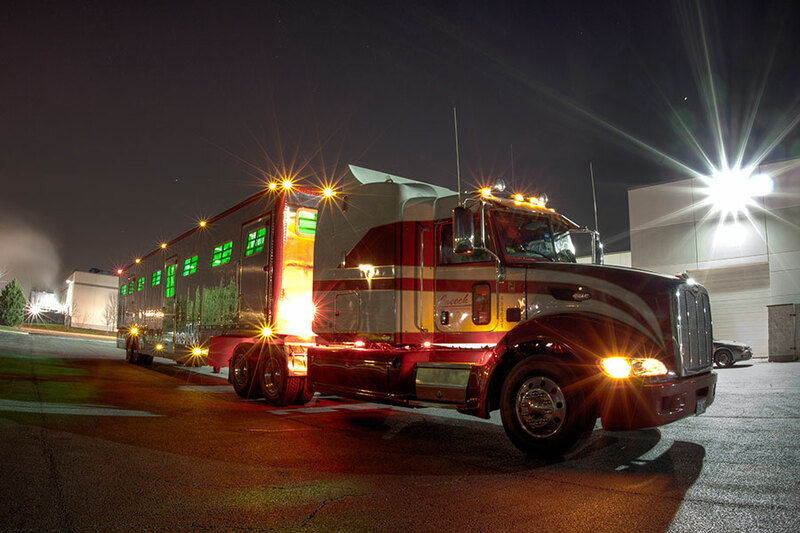 About 300 companies exist in the North American horse transportation industry. But about half are illegal shippers that don’t undergo proper licensing or take out insurance, Sappington said. 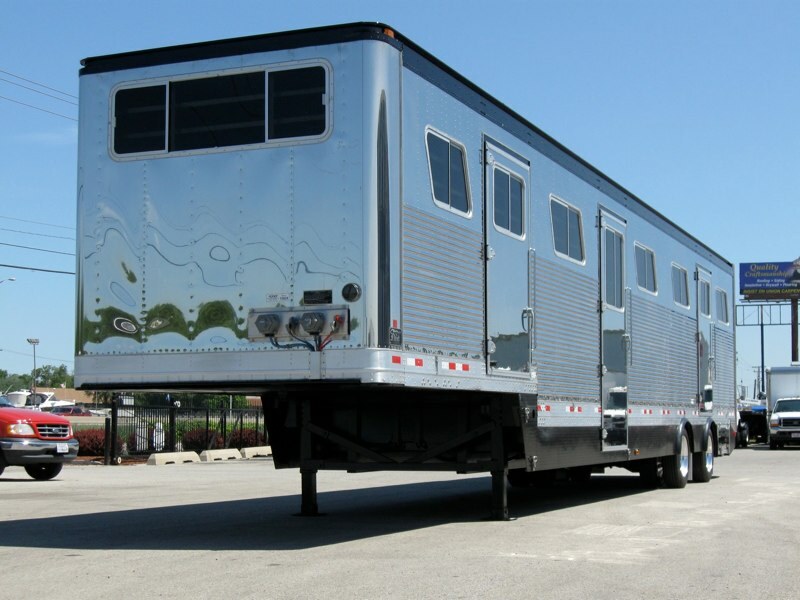 Horse shipping companies are based throughout the United States, predominantly in California, Kentucky and Florida. Depending on destination and length of trip, owners may choose to fly their horses via a cargo plane or transport them on commercial trucks, the most popular option. 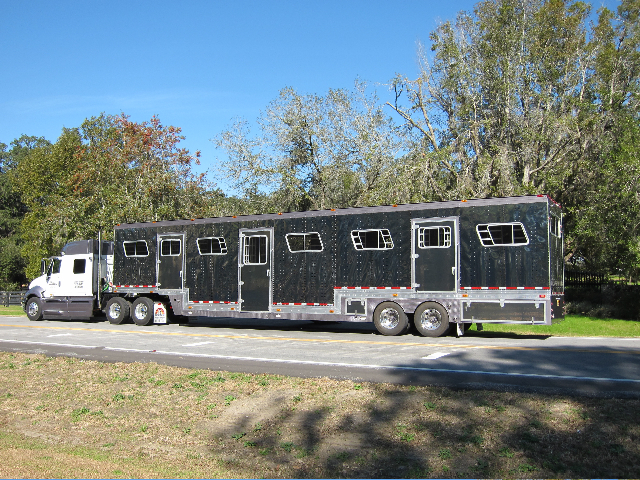 C & E hauls hunter/jumpers, saddlebreds, dressage horses and thoroughbred racehorses, throughout the East Coast with weekly routes from Chicago to Florida and Kentucky.A customer can expect to pay about $1000 per horse from Chicago to Florida, with pricing based on fuel, mileage and stall accommodation. 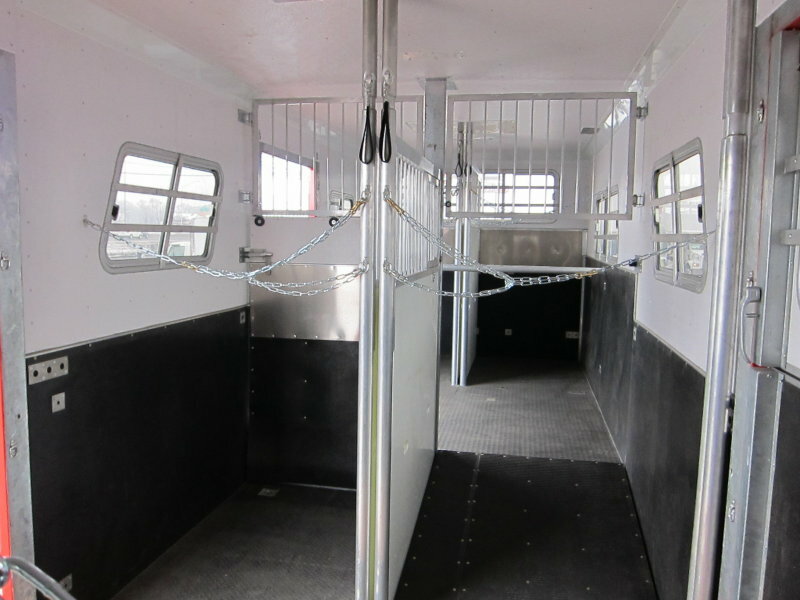 Depending on the size of the horse, customers have a choice of a stall-and-a-half or an eight by 10 box stall. The company has four drivers, with Sappington himself the most active.While it’s a niche market, most carriers in the same region offer similar pricing. 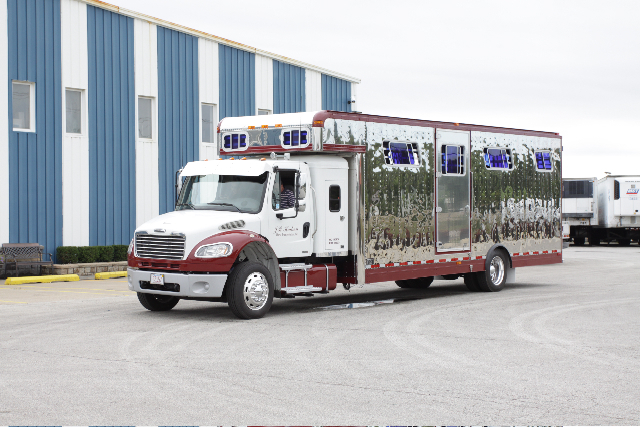 “Everybody – commercial haulers – has a different price, but from Chicago to Florida, we’re all within $10 to $20 of each other,” said Chip Hudson of Creech Horse Transportation Inc. in Ocala, Fla. The cost to fuel one of C & E’s trucks is about $800 with average mileage per trip around 400 miles for local work and 1400 miles for long distance work, Sappington said. Sometimes he offers discounts for horses at the same pick-up or drop location. Another shipper, Drexler Horse Transportation Inc., based in Hampshire, Ill., is seeing recovery from the economic recession but still faces challenges. A lot of show horse customers that might have taken two loads to Florida for the season now take only one, said Doug Jones, a dispatcher for Drexler who has been in the shipping business for 32 years. The breeding stock for horse racing along with number of mares traveling from Kentucky to be bred in Illinois is down. 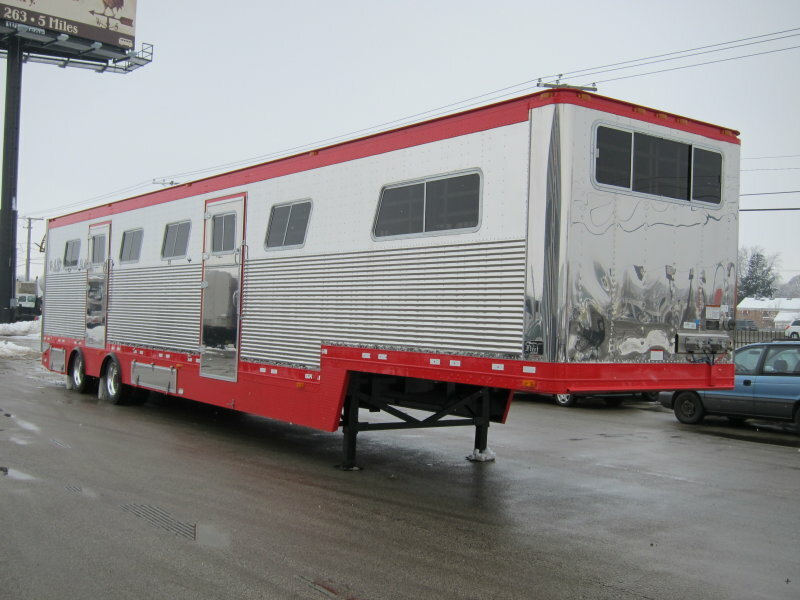 Rivelli uses Drexler, Sallee Horse Vans Inc. in Lexington, Ky. and Aprile Horse Transportation Inc. in Peotone, Ill., to haul his 50 thoroughbreds from Arlington Park to his farm in West Virginia and to tracks in Canada. 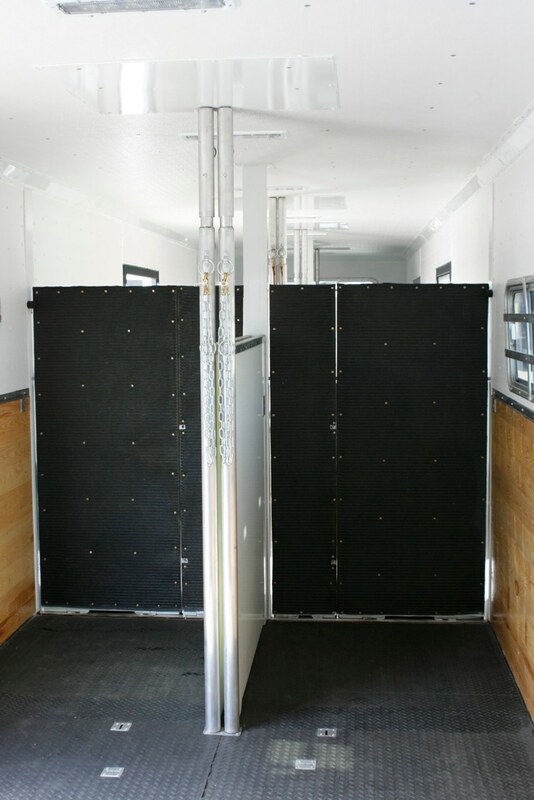 C & E’s largest trucks can hold up to 15 horses in single stalls, but the company usually ships only 10 horses at a time in stall-and-a-half accommodations. The company’s smaller rig, used for local pickups, holds up to six horses. 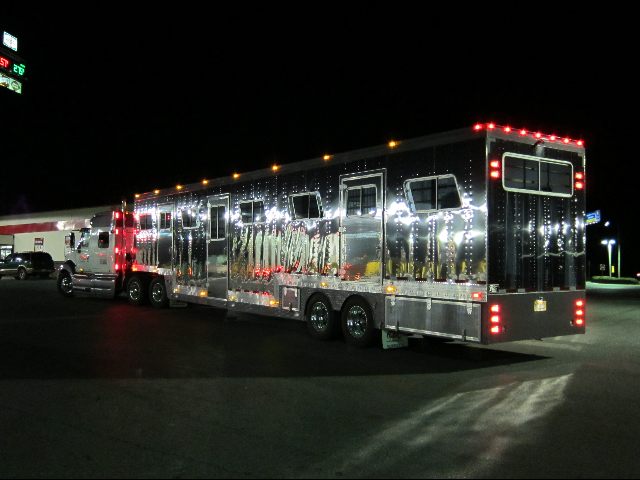 Sappington’s newest truck, purchased from Fleet Equine Inc. in Bolingbrook, cost about $300,000. “Acquiring the money to buy the trucks is the hardest part,” Sappington said. Right now, C&E could increase its client base if it had more equipment to do so, Sappington said. He’s now deciding if he wants to go down that road.“A lot of the big companies have quantity but not quality,” he said. “There’s a fine line that you can only do so well in the ability to control all your trucks and customer relations. As you get bigger, you may lose that.”If a shipper doesn’t provide quality service, it can’t expand, Jones said. “You won’t have anybody calling you back.” Drexler sponsored C & E when it joined the National Horse Carriers Association. Under federal law, C & E displays a Department of Transportation and motor carrier number on all its trucks, keeps track of logbooks and carries $1 million of insurance. To ship a horse in Illinois, the state Department of Agriculture requires owners to have a veterinarian permit, a health certificate and a negative Coggins test result, indicating an absence of equine infectious anemia, for each horse shipped. C & E’s four drivers, in addition to holding Class A commercial driver’s licenses and current medical cards, were born and raised around horses. “They’re horse people that can drive as opposed to the opposite – truck drivers that haul horses,” Sappington said.